and replace "MobileNumber" with your 10 digit Airtel mobile number. 3. Login to it using your airtel account if you already have or get an OTP code to your mobile to log in. 7. Now open this link and click on the offer image. 8. Now enter any alternate mobile number and email id. 9. Now you will receive a code to that alternate mobile number. 10. Enter that code and you will get your offer activated. Here is the happy news for you guys! Wechat is gifting 50Rs free recharge to their app users. This is the limited time offer and grab your chances, just follow the instruction I specified in this article. From these you can see that, it takes more time to achieve the free recharge goal, Wechat concept is simple after you send any text, voice, sticker, image or video messages to anyone from from your friend list you will receive 50Rs redeem link within 48 hours. 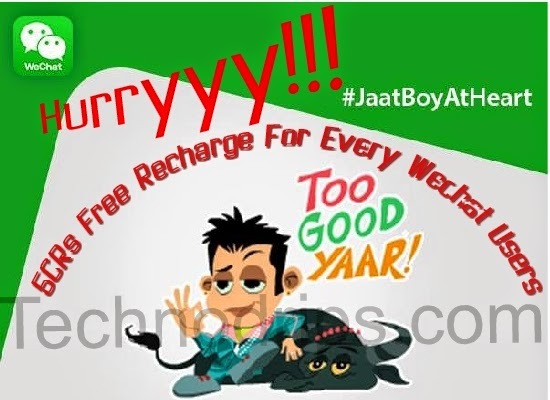 How to Receive 50Rs Free Recharge from Wechat? 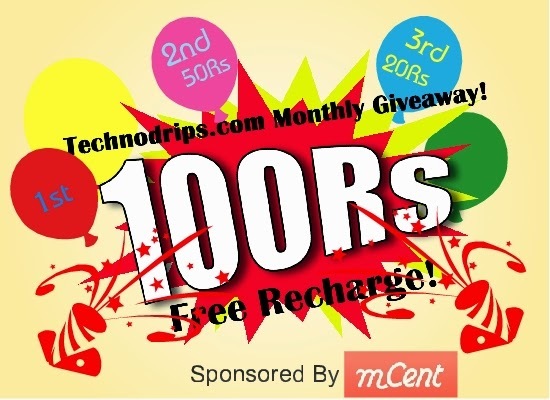 Hi again, TechnoDrips is back again with attractive Giveaway to our loyal blog readers. We have successfully completed our first giveaway prize to the winner specified below and we are back again with more attractive top-up recharges to our blog readers. You just have to do simple tasks like a Facebook fan page like, twitter follows, blog comment etc..
We have given 100Rs giveaway price to our winner in our previous giveaway contest, but now we are offering 3 prize winners who are participating in our giveaway contest. The first prize winner can grab the top-up of Rs.100, the second prize winner gets Rs.50 recharge and the third prize winner gets Rs.20 recharge. The contest starts from 21st July 2014 at 12:00am and ends on 10th August 2014 at 12:00am. The winner will be declared on 11th August 2014 and the price will be awarded on the same date. Rush Rush and Rush to be the participant of this contest and bag the attractive prizes. How to Participate in Giveaway Contest? -- Go through the box given below and login using Facebook or email,give an answer to the question to enter into the giveaway. Note:- We are strictly watching in back end, how participants are earning entry points,Only valid points will be counted. If there any point tie occurs in the end the winner will chose randomly. Note:- The participants should be signup with Mcent to get recharge. If you have any doubts regarding to this giveaway please comment us below. Dont have NMD Vpn ? : Click Here to Download Nmdvpn. Airtel Unlimited Free SMS Trick to all Network. Example: NY 989512345 Hello How Are You ? and Send it to 55444. "We wanted to share an update: This week we started rolling out Android, KitKat 4.4.4 for our Moto E users in India and expect Moto G and Moto X to follow soon. Thank you for your patience!" We may not wish to take it, but smartphones, mostly show off devices these days. When we are choosing a smartphone almost all of our focus goes into the looks. The features come later. The brand name matters. It is not all about the looks though. In some instances, there are exceptions. 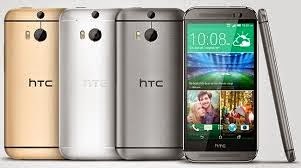 It seems even having a great looking phone like the HTC One M8 in your lineup isn't enough to be profitable as HTC sales are sliding yet again which is a shame. In this article, we will present five phones that we think are most stylish and well designed. As a disclaimer I would wish to state that we are not comparing features and specs, just the faces. It is very likely that you would buy one of these mobiles over the rest even before reading the article – simple logic: no one cares what inside if the package is pretty. HTC One M7 was a beautiful piece of tech but surprisingly M8 is even better. It holds a 5 inch display that supports 1080p resolution. M8 has an aluminum material body like most premium phones. It seems big, feels great and is softer to maintain. HTC One M8 comes in a color range that is stylish and sophisticated. The reason I rate Motorola Moto X so highly is its customizable looks. Motorola offers a service called Moto Making. The service allows users to design their handset. The users are given options to choose from 18 phone back cover shades, seven accent shades and two front shades. You can even opt for a rear panel made up of real wood instead of polycarbonate. If you have a liking for creativity you should get in line and start designing your own perfect handset in the form of Motorola Moto X. It’s not entirely about the body; Motorola has a beautiful 4.7 inch screen which adds to the expressions of the handset. It is hard to make a list without including an iPhone. While the iPhone 5c brought a diversity and vibrancy, iPhone 5s showcases Apple’s traditional class. 5s are available in different shades, gold, silver and gray. Its chassis is made out of aluminum and glass. Even with a relatively smaller screen size, the phone is still a classic. When it comes to looks and design, we have to give Lumia series some extra targets for being trendsetters – by bringing in bright colored blankets. The icon does justice to the Lumia legacy. It holds a soft polycarbonate rear casing with a dark outline around the stunning 5 inch display. Its clean design and excellent screen make Lumia Icon a very attractive cell phone. Samsung Galaxy Note 3 is a special phone or phablet. It showcases design diversity that was much needed from Samsung. It has leather covering back that allows the user to hold it easily. Note 3 has a small and stylishly designed with rounded edges that add to the elegance. Note 3’s screen is huge and high quality. Looks and performance-wise, Note 3 is a great phone to have and to “show off”. Nuur Hasan is a software engineer at Gloria9 Technologies. He is obsessed with technology, especially smartphones. Nuur is a regular blogger and thinks that sharing ideas, experiences and knowledge can lead to more creativity in the tech field. His other interests include cricket, politics, Doctor Who and reading fiction.